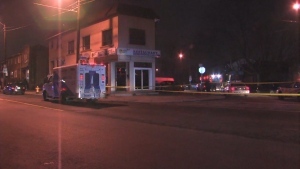 One person is in hospital after shots were fired at a vehicle in Brampton late Tuesday night. Peel police say they believe shots were fired at a grey Honda Accord in the area of Highway 410 south of Steeles Avenue at around 11:21 p.m. but the exact location of the shooting is still under investigation. Police said the lone male occupant of the vehicle was hit by the gunfire but continued driving to a nearby hospital, where he was met by officers. The man has been transferred to a trauma centre for treatment and police say his injuries are not believed to be life-threatening. Investigators found multiple bullet holes in the vehicle but police would not say how many gunshot wounds the victim sustained. Investigators have not yet provided any information on possible suspects. The area was shut down for the police investigation but has since reopened. Police are asking anyone who witnessed the incident or has dash camera footage of the area to contact investigators. 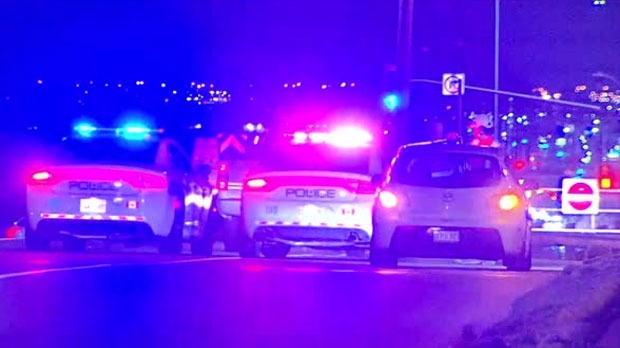 This latest incident marks the second time shots were fired at a vehicle along Highway 410 in Brampton in the last month. At around 1 a.m. on Nov. 13, 23-year-old Jason Ramkishun was found suffering from gunshot wounds in the area of Highway 410 and Courtneypark Drive. He was rushed to a trauma centre for treatment but later died from his injuries. Police said it is too early to tell if the two shootings are connected. One person is in hospital after shots were fired at a vehicle in Brampton.